These conclusions rest on our detailed analysis of 2,000-plus work activities for more than 800 occupations. Using data from the US Bureau of Labor Statistics and O*Net, we’ve quantified both the amount of time spent on these activities across the economy of the United States and the technical feasibility of automating each of them. The full results, forthcoming in early 2017, will include several other countries,1but we released some initial findings late last year and are following up now with additional interim results. In discussing automation, we refer to the potential that a given activity could be automated by adopting currently demonstrated technologies, that is to say, whether or not the automation of that activity is technically feasible.2Each whole occupation is made up of multiple types of activities, each with varying degrees of technical feasibility. Exhibit 1 lists seven top-level groupings of activities we have identified. Occupations in retailing, for example, involve activities such as collecting or processing data, interacting with customers, and setting up merchandise displays (which we classify as physical movement in a predictable environment). Since all of these constituent activities have a different automation potential, we arrive at an overall estimate for the sector by examining the time workers spend on each of them during the workweek. Even when machines do take over some human activities in an occupation, this does not necessarily spell the end of the jobs in that line of work. On the contrary, their number at times increases in occupations that have been partly automated, because overall demand for their remaining activities has continued to grow. For example, the large-scale deployment of bar-code scanners and associated point-of-sale systems in the United States in the 1980s reduced labor costs per store by an estimated 4.5 percent and the cost of the groceries consumers bought by 1.4 percent.3It also enabled a number of innovations, including increased promotions. But cashiers were still needed; in fact, their employment grew at an average rate of more than 2 percent between 1980 and 2013. Understanding the activities that are most susceptible to automation from a technical perspective could provide a unique opportunity to rethink how workers engage with their jobs and how digital labor platforms can better connect individuals, teams, and projects.6It could also inspire top managers to think about how many of their own activities could be better and more efficiently executed by machines, freeing up executive time to focus on the core competencies that no robot or algorithm can replace—as yet. Bricks traditional dominance in the residential housing market has been suffering over the last couple of decades. 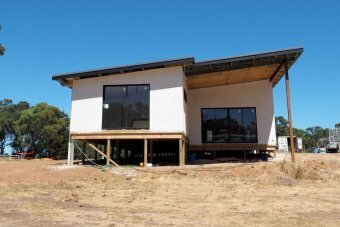 The pressure to put more house on less land has led builders to look at tilt up concrete panels, Hebel and Blueboard like products. The current trend for rendering the exterior of houses has gone hand in hand with other cladding materials. But what happens when the trend ends? The use of stone and tile being mechanically fixed to the facade of commercial buildings, has already taken off in residential – could this reduce the popularity of rendered finishes? Brick trumps other building materials when it comes to outlasting the ‘trend’ by being a solid material that can be used with a range of different facade treatments, or left as is with a huge variety of new colours and textures available. Architecture & Design Magazine have more information about the Melbourne extension on their website, click HERE to read all about it. CSR Bradford are promoting their Thermoseal Wall Wrap system as a way to have work on the interior of homes completed before, or at the same time as the external brickwork or cladding is completed. There is no mention of the extra complexity facing bricklayers having to work around this system and the extra time that that takes. No mention either of the failure of the wrap in some houses being constructed during storms. We have had bricklayers tell us that some homes being built during the last series of SA storms had significant leaks that saturated the internal plasterboard, and could lead to issues of mould as a result. Note the only trade delay identified is for bricklayers. This magical product must also free up scheduling for all the other trades as well. Luckily bad weather doesn’t affect slabs being poured or roofing in marketing land. This product is being promoted to builders. If you are building a home through a builder, we would recommend that you check if this system is being used, and if it is, insist on inspecting the site after any bad weather. The building industry could look at increasing the numbers of bricklaying apprentices as a way to overcome trade shortages. Offering extra incentives and streamlining administration of apprenticeships could all go a long way towards overcoming labour shortages in certain trades. Note that bricklaying has been on the National Skills Shortage list for most of the decade. 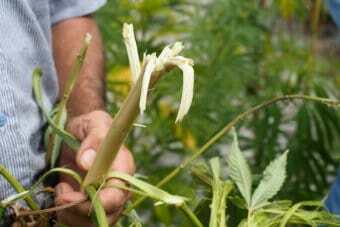 The hemp plant’s woody stem is shredded, mixed with a lime render and tampered into place inside a timber frame. Builder Gary Rogers said hemp is a high thermal insulator. 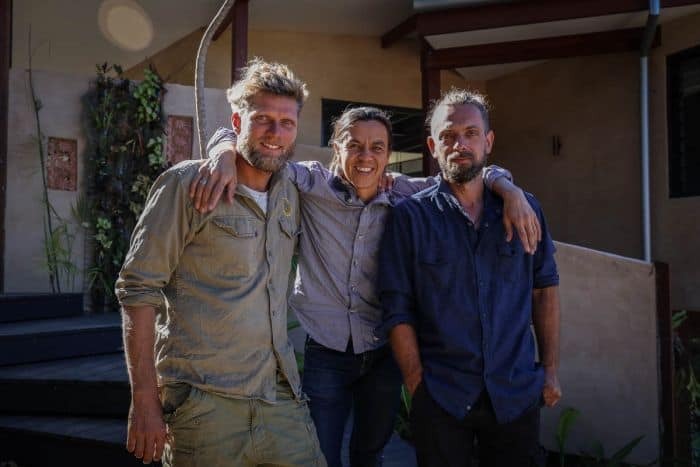 “The hemp is basically encased around your timber frame home so in a nutshell it’s your cladding, it’s your insulation, and it’s all your gyprock and basically all your painting, all done in one, in a monolithic wall,” Mr Rogers said. But local hemp growers said they could grow hemp plants but just needed a processing plant in WA because their product was going to waste. Gail Stubber, a South West hemp grower, said regulations prevented her from selling the seed as a food product. “I can grow this crop but I can’t do anything with it,” Ms Stubber said. There were strict regulations ensuring the amount of THC in the plant was low, but Ms Stubber said that was not the biggest hurdle. “I’d like the seed to be used for food because that immediately makes my crop more valuable,” she said. “I would like them to give us some sort of ruling on if the THC is slightly high, whether we can use the bi-products that are not involved in the high THC, so the herd, the inside part which is the housing thing. “And I’d like the government to give us a hand, be it with a grant or something, to actually get a processing mill here in the South West. Colin Steddy said he planned to privately fund a processing plant in the South West which he said would open the door to huge farming and textile industry opportunities. Mr Rogers said he already had several more clients lined up to build their homes from hemp. 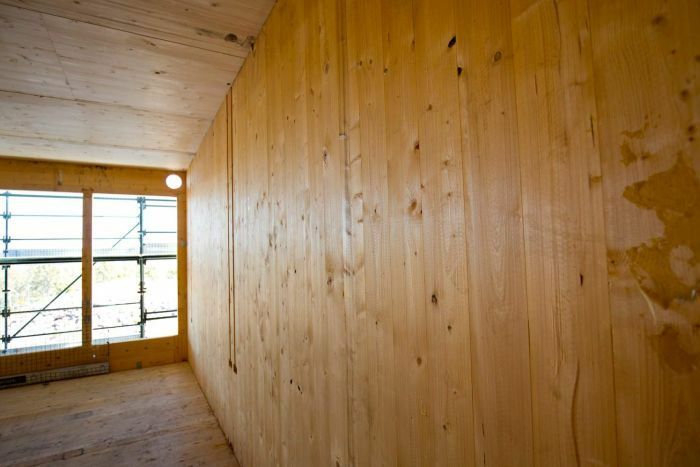 Is cross-laminated timber a substitute for brick, concrete & steel? A material used in construction for centuries is making a comeback, as developers and builders take timber to new heights. 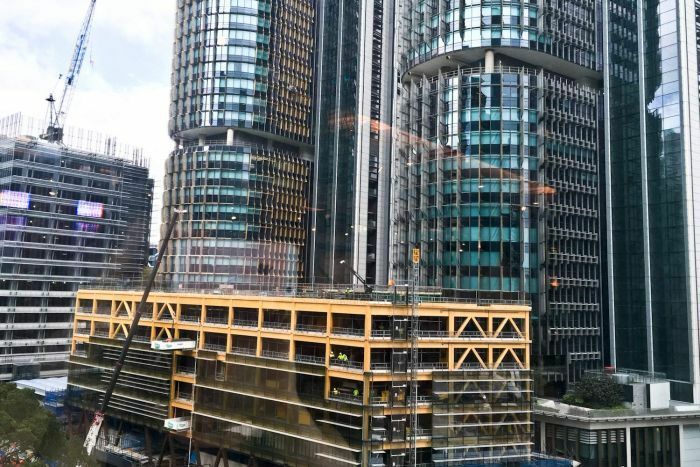 Its worth noting that building with this material has been happening for much of the last decade around the world, including Canada and parts of Europe, but until recently wasn’t approved to be used for commercial sites in the Building Code of Australia. On a site in Campbelltown, where four apartment towers are being built, almost the only noise you can hear is from another construction site nearby. A panel thuds into place. A drill whirs. A radio sings out over workers’ voices. Then, the screech of machinery from the other site. Over the road, a conventional build is underway — mostly steel and concrete. But this one is an all-timber project — 101 residential units in towers up to eight storeys high, made completely from pine. “It’s the perfect product for us to take our projects taller,” StrongBuild managing director Adam Strong says. They are not using conventional wood, but manufactured, engineered materials collectively known as mass timber. Among them is cross-laminated timber (CLT) — layers of wood, glued together under high pressure with the grain of each perpendicular to the one before. The end product is surprisingly strong and rigid, unlike raw timber, which will warp and weave over time. “CLT, just by the very nature it’s assembled, means it’s quite dimensionally stable,” Arup engineer Craig Gibbons said. That stability means mass timber components can be manufactured to the precise dimensions required by a project, and delivered to sites with a high degree of confidence they will assemble as planned. It all works a bit like flat-packed furniture. The digital plans are sent to the manufacturer, where computer-controlled machines produce the timber elements to the exact dimensions required, right down where electrical wires will be chased down to light switches. The panels are then put into shipping containers and delivered to the construction site, where builders slot them into place. With so much of the construction process taking place in an offsite factory, builders are less exposed to onsite risks such as accidents or weather delays — which helps make projects faster, cheaper and more predictable. “There’s a big drive and push to any modular form of construction, any form of construction that can bring the advantages of offsite manufacturing,” Mr Strong says. There is another major difference between a conventional building site and one where they are working in timber — far fewer workers. Just four workmen are assembling the top floor of one of the Macarthur Gardens towers, with a few more working on lower floors. All these cost-saving advantages make a difference to developer BlueCHP Ltd, which specialises in affordable housing and plans to provide most of the apartments in this complex at 80 per cent of market rent. “The more modular your design is, the quicker the guys can build it, the quicker we can house people,” BlueCHP’s Marcelo Staimbeisser said. The company had not envisaged the development as an all-timber construction, but when they saw the proposal, Mr Staimbeisser said there was such a difference in construction price, and significant time savings, that they took a punt on a building material they had not worked with before. Now, Mr Staimbeisser said he hoped more developers would use it. “The more timber projects out there, the cheaper it’s going to get in the long run,” Mr Staimbeisser said. 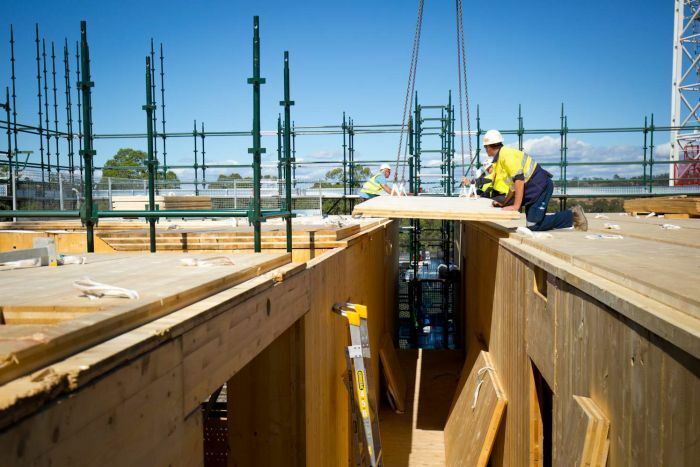 CLT is not a new building material — its growing popularity in Australia is the result of recent changes to building regulations, which are in turn the result of lengthy performance testing and industry consultation. 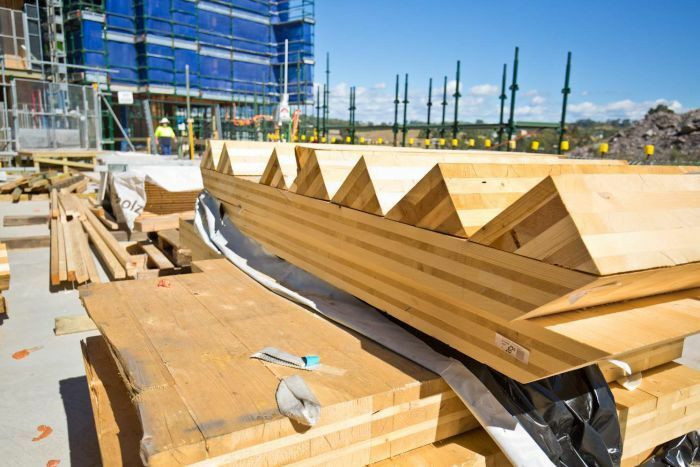 In May last year, Australia’s National Construction Code was changed so timber products could be used in buildings up to 25 metres high, without developers having to go through costly additional processes such as getting fire engineering approval each time. Now, mid-rise buildings can be made of timber products, as long as sprinklers are installed in buildings over three storeys, and fire-resistant plasterboard covers all exposed wood. Another driving force behind timber is the growing interest in environmentally-friendly and sustainable products. Advocates of mass timber are quick to point to the material’s green credentials, arguing it is a good insulator, which keeps down heating and cooling costs, and it is a store of carbon — unlike concrete and steel, which emit carbon during their production. “One cubic metre of mass timber locks in about a tonne of carbon,” Mr Gibbon said. But those representing conventional materials say they are not worried by the challenge posed by timber, and tout concrete as a natural product as well. 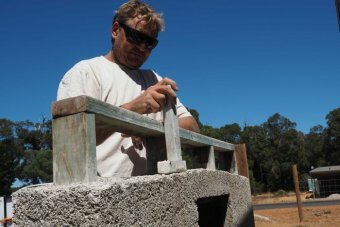 “It’s made out of certainly all natural resources — sand, stone, water and cement, which is manufactured from limestone, a very abundant product,” Cement, Concrete and Aggregates Australia CEO Ken Slattery says. 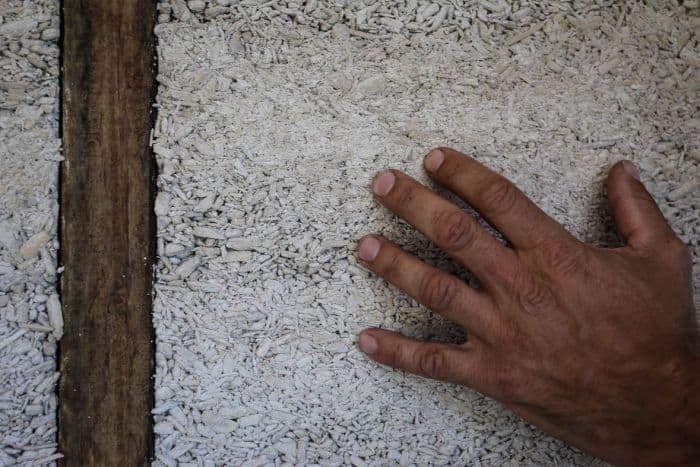 He conceded the production of cement emits carbon, but said the industry has worked to lower that by almost 30 per cent over the past few decades and he believed it will come down further in the future. As for insulation, Mr Slattery says well-designed concrete buildings can be highly energy-efficient, cutting down the amount of energy a building consumes over its entire life. But timber and conventional materials need not be at odds. Mr Gibbon is working on a 20-storey wooden building in Amsterdam, and thinks that is about the limit for an all-timber structure. Beyond that, he said timber will have to work together with concrete in what he calls a “happy hybrid”, where reinforced concrete and steel are used for the core, and timber for the walls and perimeter structure. 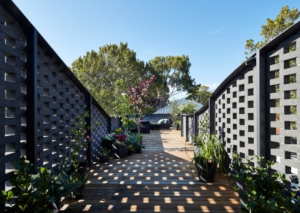 As demand increases for inner-city dwellings, he says he thinks more developers will turn to timber, for a quicker, less-disruptive option for high-rise structures. 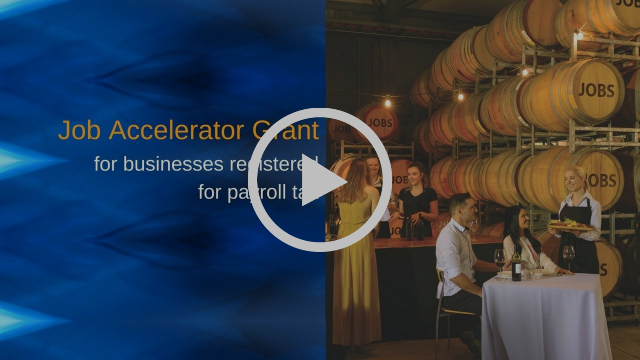 South Australian businesses can now register for two types of Job Accelerator Grants to assist with employing additional full-time, part-time and casual employees, with grants between $10 000 and $4,000 for every new job created. The grant aims to create jobs now and build a strong workforce for the future. Find out if your business is eligible today to start shaping the jobs of tomorrow. 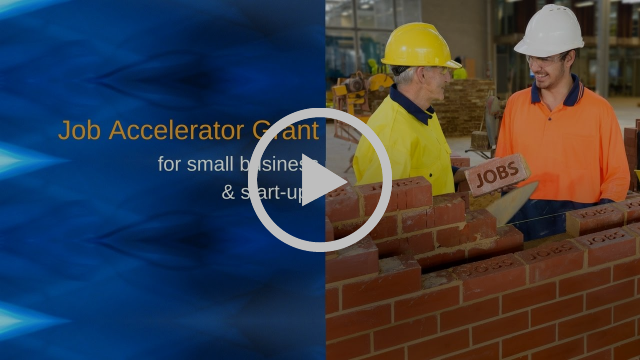 UP TO $4,000 for SMALL BUSINESSES…. Are you looking to employee new staff ? You could be eligible for a state government grant. UP TO $10,000 for LARGE BUSINESSES…. Australia’s homes are notoriously “leaky” — allowing the uncontrolled flow of heat into and out of the building. Our answer has been to put in more and more pumps, in the form of air conditioning. This is often promoted as a feature, rather than an indication of a poor-quality building! Pumping heat from one place to another takes a lot of energy, which makes air conditioners particularly power-hungry appliances. The more leaky the house, the more heat needs to be pumped out. On hot days, when lots of air conditioning units are operating at the same time, this creates a challenge for the electricity infrastructure. It costs money to build an electricity network that can handle these peaks in demand. This cost is recovered through the electricity unit cost (cents per kilowatt hour). We all pay this cost, in every electricity bill we get; in fact the cost of meeting summer peak demand accounts for about 25 per cent of retail electricity costs. This is more than twice the combined effect of solar feed-in tariffs, the Renewable Energy Target and the erstwhile carbon tax. This means that people living in houses that are built to handle their local climate are effectively subsiding those who live in poorer-quality buildings and relying solely on the air conditioning to stay cool. Perhaps even less fairly, those who struggle to afford air conditioning and have to cope with overheating are also paying this subsidy via the electricity they do use. All this is because many people still live in leaky, poor-quality buildings. Does this mean that air conditioners are evil and should never be used? Of course not — there is a role for very efficient air conditioners (heat pumps) in extreme weather events. But it does raise some interesting questions. Can we design and build homes that are great to live in and don’t cost the Earth to run? And, if so, why aren’t these homes the norm, rather than the exception? The good news is that comfortable, quality homes that put minimal strain on the electricity grid are certainly possible. What’s needed is a combination of design that takes account of the local climate, appropriate building materials and quality construction practices. Some homes consume less than a quarter of the energy of their contemporaries in the same climate — it’s just frustrating that they aren’t more common. In the past, the housing industry would say that it’s simply building the homes that people want — that Australians are mainly interested in size and location, not energy performance. Recent research, however, seems to indicate that the perspectives of real estate agents and other property practitioners could be limiting how, or if, they promote energy efficiency and other sustainability features to potential clients. Are Australians still mesmerised by the surface bling of granite benchtops, a theatre room, or automatic gadgets? Are we starting to consider weightier issues such as operation costs, resilience and comfort? Or are we waiting until the first heatwave or the first electricity bill to realise just how good or poor our purchase decision was? Some savvy buyers — before they sign a contract — are starting to ask about insulation, but not the more fundamental questions, like “how hot does this room get?” or “can I afford to run this house?”. The housing sector seems to assume that if you don’t explicitly ask for something, it is not important to you. They also seem to assume that the building regulations set the standard — despite the fact the building regulations are minimum requirements, not best practice for comfort and value. What does this mean? When buying a used car or a new phone, it’s relatively easy to get the information you need — and there are quite a few consumer protection laws in place. But when we inspect a home for sale or rent, we can see the number of rooms, test the taps and light switches, and measure how far it is to the shops or school or work, but there is a huge amount we can’t see and are not told. A real estate agent is not acting in the prospective buyer’s interest (or even necessarily in the seller’s). The seller wants the highest price in the shortest time, and the agent wants the biggest commission for the least effort. And contrary to practices in the European Union, no one is obliged (in most parts of Australia) to tell prospective buyers or renters about the home’s running costs. There have been successes and failures in state government attempts to ensure that home buyers and renters have access to information about comfort and running costs at the time of purchasing or renting. Queensland’s Sustainability Declaration, introduced in 2010, was very short-lived, with an incoming government declaring it “useless red tape”. In contrast, the ACT government has required an Energy Efficiency Rating for the sale or rent of residential properties since 1999, with multiple reports showing the benefits to property value and to reduced running costs. New South Wales plans to introduce a voluntary disclosure scheme in 2018, and to make it mandatory in 2020. The distribution of information about housing in Australia is flawed. Real estate agents, valuers, financiers and electricity industry operators are making decisions based on very little or no information about how the quality of houses impacts on their clients, their business processes and electricity infrastructure investment. So is the housing sector right? Do you care about the quality of the building you live in? 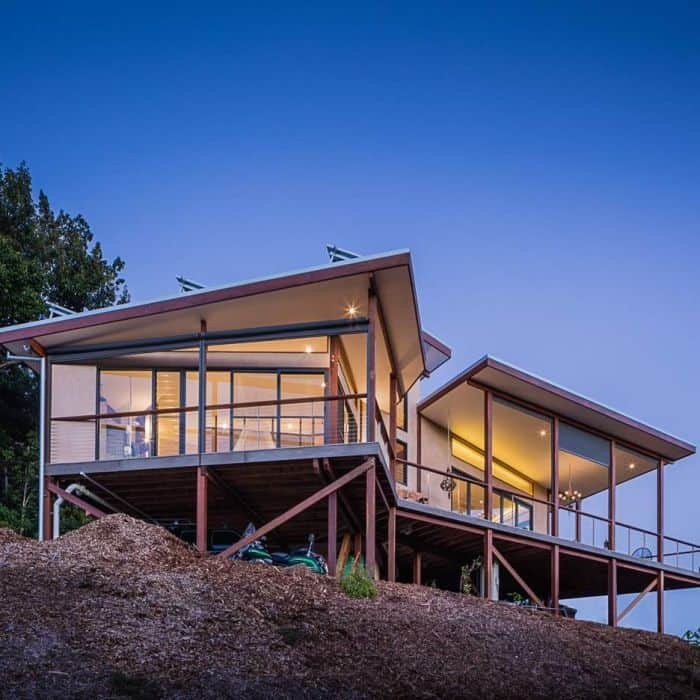 What is a sensibly designed and well-constructed house worth to you? What dollar value do you put on your health, safety and comfort? What value is there for your family to able to cope with heatwaves, or to pay off the mortgage sooner because of the money you save on power bills? You don’t need to wait for government to act. If you are looking at buying or renting a new home or apartment, ask to see the energy certificate for the dwelling. Such a certificate would have been created as part of the building approval process. It could also be useful to ask for a thermal imaging report and air leakage report. These are tests the builder can have done to prove his quality of construction. And next time you’re visiting a friend or neighbour with heat radiating from the walls, windows and roof, and the aircon cranked at full blast, enjoy the nice cool air — because you’re helping them pay for it. This story was originally published in The Conversation, by Wendy Miller who is a Senior Research Fellow at Queensland University of Technology.